Think you need to be a “science person” to teach your kids science? Maybe you passed high school Biology by the skin of your teeth. Or maybe with 3,482 other things to teach your kids… you just need to leave science to someone else. You started homeschooling not because you “know everything”…but because you wanted to give your kids a great education outside the classroom. They’re the ones who find the best resources, and who teach their kids to teach themselves. Engaging, hands-on science…that practically teaches itself! Students login to their online portal each week and watch an engaging video lesson. Lessons are dripped out one per week so your student can follow what’s going on in the sky throughout the year! Students take a weekly comprehension quiz, plus a mid-term and a final exam. Don’t worry: it’s all graded for you so you don’t have to do the work. Students get outside each week to observe the sky and do their weekly field guide assignment. Too cloudy? Too much light pollution? No worries. 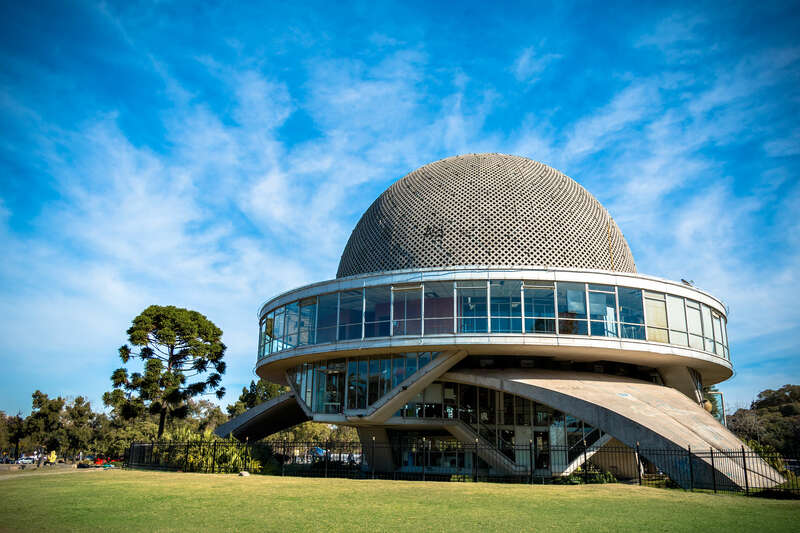 The course will teach you how to use an online planetarium to complete these assignments when needed. Students are assigned weekly reading from the book Signs and Seasons: Understanding the Elements of Classical Astronomy. 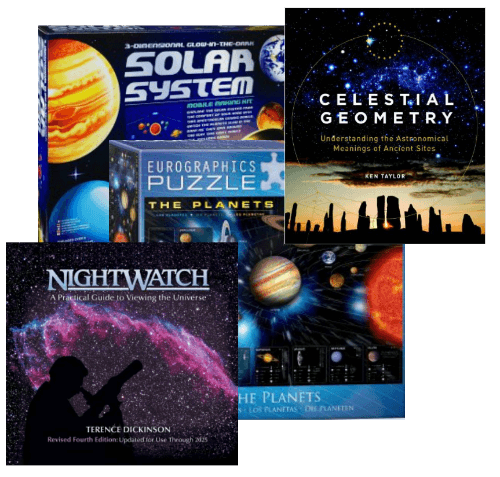 It’s optional, but we highly encourage you to grab this fantastic astronomy textbook. When students sign up for the Advanced Experience Astronomy program, they can earn high school credit. Receive an extra assignment book with hands-on projects, writing assignments, and more. Plus, get exclusive access to 6 live online training events with the instructor for more in-depth teaching and a chance to ask questions. Would there be enough accountability? Would he be engaged? I’m so happy to say the answer has been “Yes!” The combination of a weekly video, quiz, and scheduled outdoor activities each week was perfect. My son has found it highly enjoyable. He has been inspired to learn the night sky and teach his younger brother too. This has been a valuable resource! The Advanced Mastery Program will give your student plenty of options to acquire enough hours for high school credit! 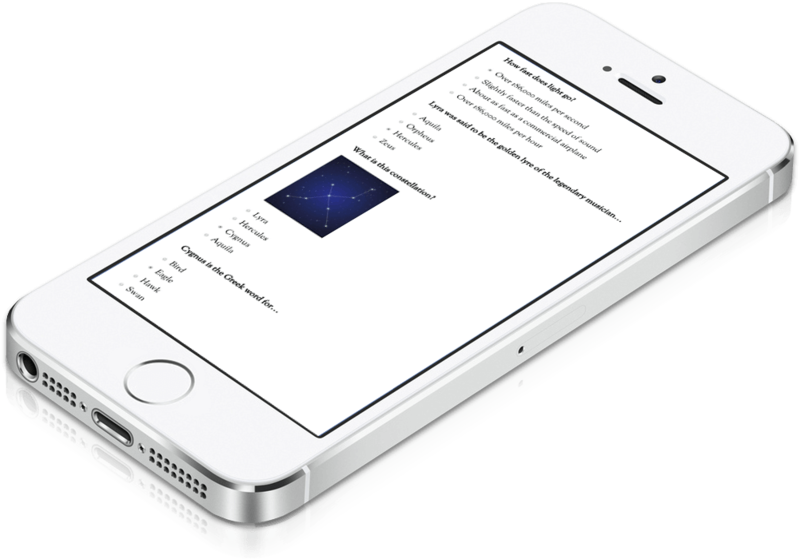 And it’s perfect for students who want to delve deeper into the study of of astronomy. 35 fun and engaging video lessons dripped out one per week so your child can follow what’s going on in the sky as it’s actually happening. Carefully planned observation activities throughout the year so your child always knows when and where to look in the sky. The sky will come to life!  Online, graded quizzes and exams, so you can take a break from correcting your child’s work. 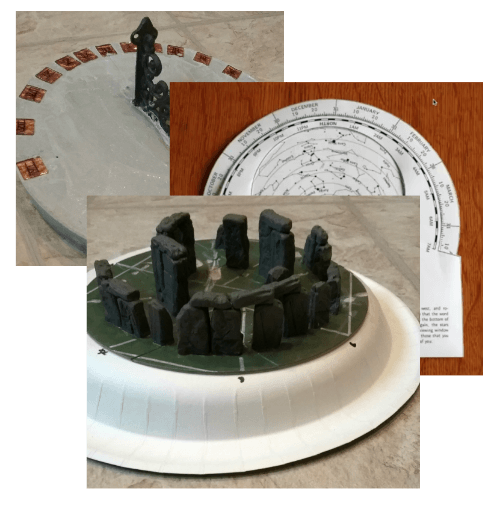 Hands on activities that will help kinesthetic learners deepen their understanding of astronomy. 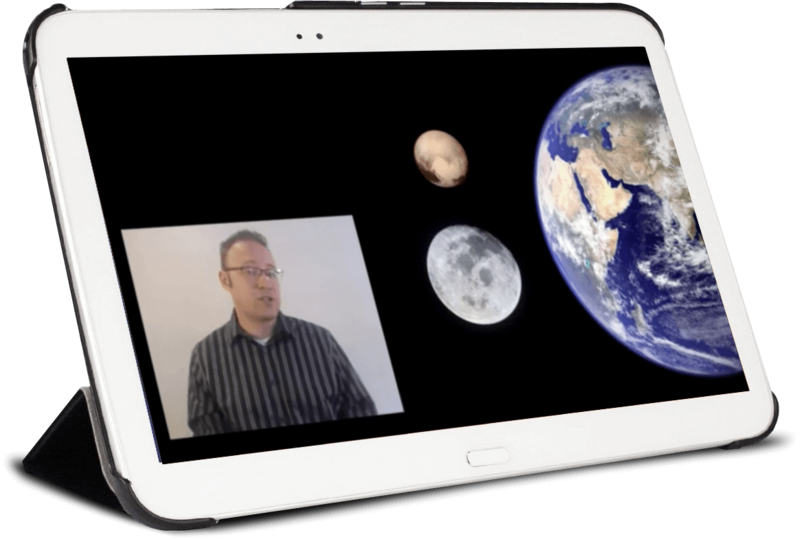 Live interactive trainings with Mr. Gilkerson where you’ll go deeper in the study of astronomy and have the opportunity to ask your questions. Schedule for 2019-2020: September 23, November 11, January 13, February 24, April 6, and May 18 at 11:30 AM (EST). 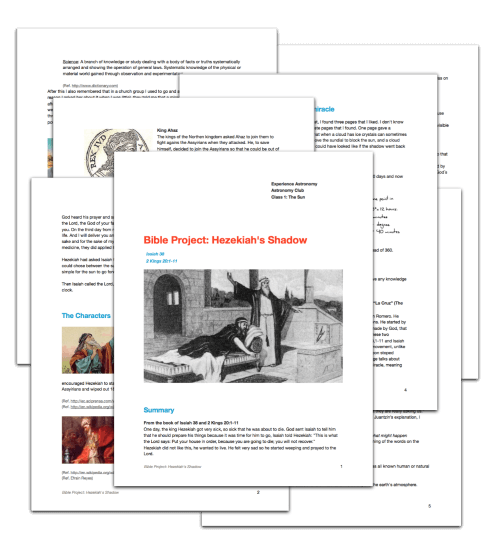 5 Bible-based projects to help your child connect astronomy to real events from the Scriptures. NEW! Lesson outlines to help your student grasp important concepts, learn new terms, and help with note taking. NEW! 16 stargaze video tutorials to help your student with their outdoor observation assignments. It’s the next best thing to having Mr. Gilkerson by your student’s side as they gaze at the stars! 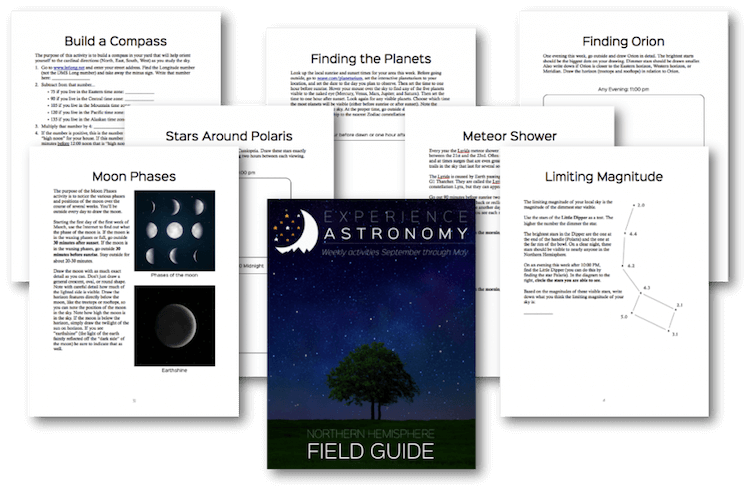 Engaging field trip ideas so your child can explore astronomy outside the bounds of their backyard. 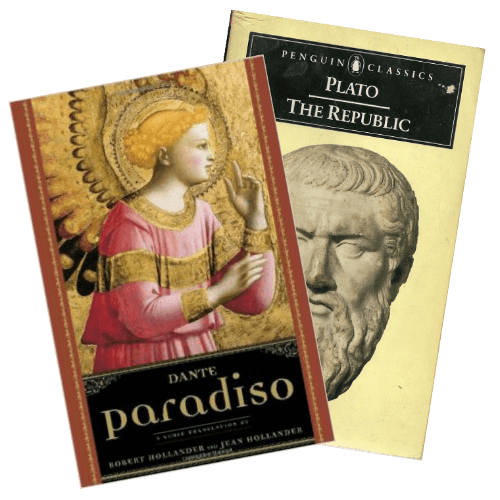 Assignments to help your student learn how history and literature intersect with astronomy. 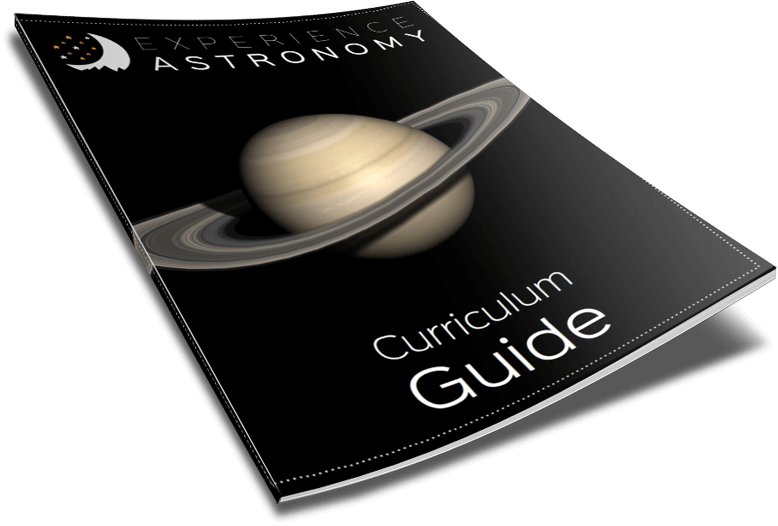 Curriculum guide to help you and your student understand how the course works and how to use the online planetarium when the weather isn’t cooperating. 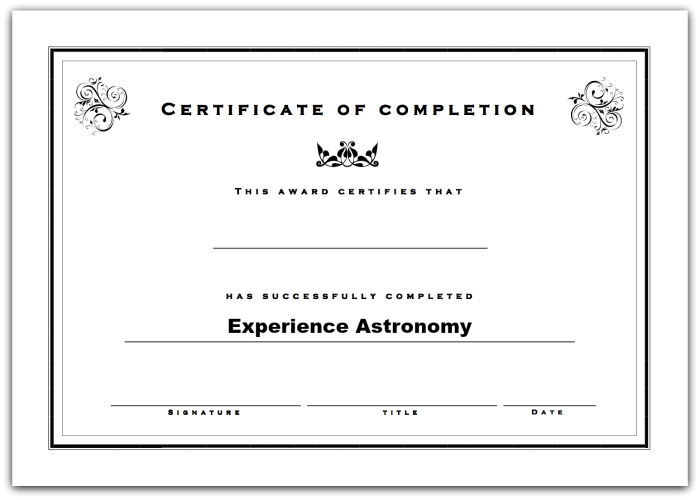 Certificate of completion for a job well-done when the course is completed. Student contests where your child can win prizes and engage more deeply in the course content. When you enroll in Experience Astronomy, you’re making an investment that’s much more than a textbook—it’s an experience your kids will never forget! …so my daughter needed structure—something that would be there for us every week but would be flexible enough that she could use it at any time. Experience Astronomy was the perfect answer for our situation. We could count on science for that time period. I hadn’t ever enrolled in an online course and was was new to homeschooling. I’ve been very impressed with the assignments the upper level students complete and especially like the tie in to scripture for some of the projects. I highly recommend your program. My only wish is that there were more courses for my high school student to do! However, by my estimate, each week’s lesson costs just a few dollars per week—an excellent value! You’ll have access to 1 new video per week throughout the school year, starting in early September. The course officially ends in mid-May, and the videos will be available for review through the end of June. Once each video is live, your student can watch and re-watch it anytime he or she wants throughout the duration of the course. Which class is right for my child: the elementary or the upper level course? Video lessons are longer than the elementary-level videos and taught using language more suitable for teens. The concepts taught in the upper level course go much deeper than the elementary course, which is more basic. The upper level has weekly outdoor observation activities (often in the late evening or early morning) which are more appropriate for those looking for an observational/lab science. Activities in the elementary course include more hands-on creative projects, better for younger children. The recommended reading for the upper level courses is a textbook geared more towards teens. Reading assignments for the elementary course are living books that can be used as read-alouds or assigned as independent reading, geared towards students ages 6-11. How does the Advanced track differ from the Basic track? The Advanced Mastery program is an opportunity for students to learn even more about Astronomy while earning high school credit for this science course. In addition to all of the training and information made available in the Basic course, your student will be given hands-on projects, history and literature assignments, field trip ideas, and Bible-based projects. 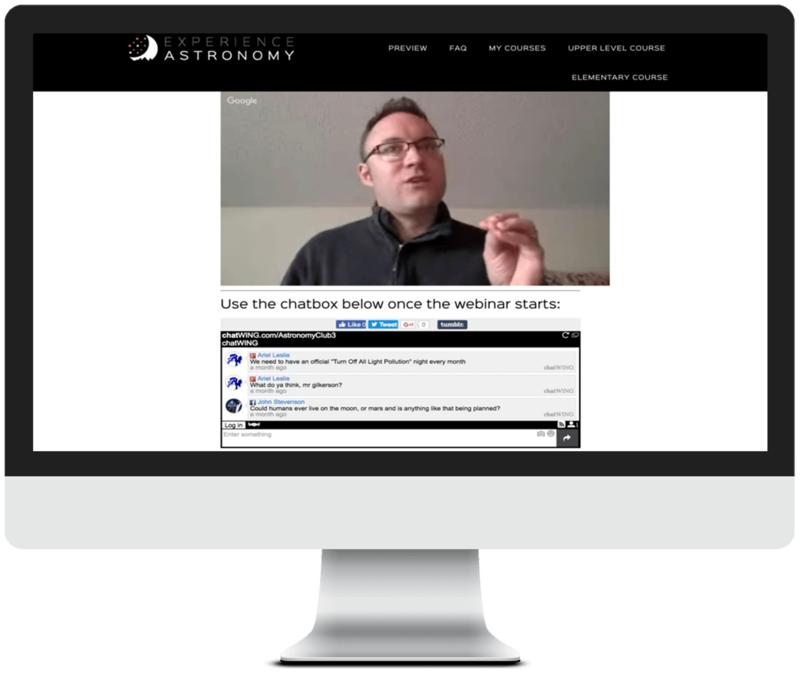 Your students will also be able to participate in 6 live, interactive trainings with Mr. Gilkerson where they’ll go deeper in the study of astronomy and have opportunities to ask their questions and get answers (typically last about 1.5 hours each). Training will be recorded for Advanced students who are not able to attend live. Schedule for 2019-2020: September 23, November 11, January 13, February 24, April 6, and May 18 at 11:30 AM (EST). The extra assignments and trainings will be enough to allow students to earn high school credit for this course. How much time per week will this class take? That depends on if your student takes the Basic course or the Advanced Mastery Course. On average, video lessons are 20 minutes long. Most of observation activities take 15-30 minutes, though certain weeks might be slightly longer or shorter. Quizzes are also offered weekly, and these will be relatively short (about 5 minutes). The midterm and final exams are longer (about 2o-30 minutes). There will be weekly reading assignments assigned from Sign & Seasons. If your student takes the Advanced Mastery program, they’ll also have 6 live interactive trainings with Mr. Gilkerson that each average 1.5 hours. To acquire enough hours for high school credit they should also complete 10 of the 20 assignments suggested during the Advanced course. Does my child have to view the course videos on specific days? The course officially starts in early September. Students will have access to one new video every week (except for a three-week break around Christmas when there will be no new assignments). Videos go live each week on Sunday morning (EST), but students can watch them any time throughout the week. Once released, each video can be reviewed as many times as the student wants through the end of the course. Lessons correspond to weekly outdoor observation activities. Because one of the goals of the class is to see the changes and movements in the sky over the course of nine months, the course is paced so students cannot “get ahead” by doing a lot of lessons all at once. Because the sky is always changing, it is important for students do their best to keep up with the assignments week by week. How long will my student have access to the course? Can I enroll more than one child in this course at the same time? In the upper level course, each student receives their own grade, online portal, and auto-graded quiz so each student should enroll separately. We do offer generous multi-student discounts for families enrolling more than one student in the class at the same time. What is your discount for enrolling multiple students? If you have multiple students (in the same immediate family) enrolling in an upper level course, we offer a 50% discount for the second student, and 75% discount for the third and fourth student. What kind of outdoor observation activities will be expected of my student? There are 33 outdoor assignments in all. All assignments involve observation with the naked eye (no telescopes needed) and some kind of note-taking or drawing of what is seen. Most activities can be completed in 15-30 minutes, but all of these activities involve going outside at specific times. Some will require students to go out at 10pm, at midnight, at 5am, etc. So while the course activities are relatively easy, they need to be done at specific times. What about bad weather? Or light pollution? • Be sure to always take advantage of good weather. However, most outdoor activities can be postponed a week or so without a problem. • The course focuses on the brightest, most-obvious constellations, many of which are viewable even in suburban locations. Do you teach about creation or evolution in this course? While this class touches on the reasons why God created the stars, it does not get into concepts about the age of the universe or scientific theories about the beginning of the universe. The course does not touch on how to interpret the days of creation in Genesis 1. The focus of the class is to discover the motions of the heavens, not the creation or history of the heavens. Can my student earn high school credit for this course? In most states, students need to accumulate at least 120 hours of instruction and course work to receive a high school credit. Can I take this course if I live outside the United States? Yes, but this course is for those who live in the Northern Hemisphere. We’ve had students take this course in all parts of North America, Europe, and most of Asia. This course is not for those living in the Southern Hemisphere. What additional books and supplies will I need for this course? This course is a “naked-eye” astronomy course. That means, you won’t need to purchase any telescopes, binoculars, or other specialized equipment for your student. Though not required, your student would benefit from a small red flashlight. Since students will be outside in the dark, drawing what they see in the sky, a red light will help them see their paper without destroying their night vision. You can easily purchase one online, or there are a variety of apps you can download that will turn a smartphone into a red light. The first class of this course gives students instruction about how to make their own from a regular white flashlight. It is highly recommended, though not required, that you purchase the textbook Signs and Seasons: Understanding the Elements of Classical Astronomy, by Jay Ryan*. This is the finest textbook on the market for learning about the motions of the heavens. *Textbook required for Advanced Mastery students seeking high school credit. Do you offer options to use this in a co-op? Yes, we recently added the option to use this in a co-op. The course is set up slightly different to accomodate co-ops, you can check out all the details here. The instructor for this course is Luke Gilkerson. Mr. Gilkerson and his wife Trisha are authors of multiple homeschooling and parenting books. They blog together at Intoxicated On Life. During his undergraduate program, Mr. Gilkerson worked in his university’s Astronomy department as a stargaze instructor, and for the last several years has taught astronomy at his local homeschool co-op along with 1000s of students throughout the world through Experience Astronomy. It’s hard for us to get away from the light pollution and houses that block our view at night. But we made regular use of the online planetarium recommended for the observation assignments. The kids also spent a lot of time identifying constellations any time we were outside and it was a clear night. That worked well for us. My kids have learned a lot. I catch them telling other people about constellations whenever we’re outside at night. • Learn the #1 trick for finding your way around outside—even when you don’t have have a compass. • Constellations seem impossible to find—isn’t that the truth? Your student will learn how to spot them so they practically jump out at you! • You thought you knew Bible stories like the parting of the Red Sea, but until you know your astronomy, you’ll never fully understand them. • Once you understand the phases of the moon something exciting happens: you’ll never see biblical holy days the same way again. • Learn how eclipses have stopped wars, saved explorers, and brought down empires. • The anatomy of the universe—it’s weirder than you think! We’ll walk you through black holes, neutron stars, and the furthest regions of space. • How astronomers kicked Pluto out of the planet club—and why Pluto had it coming. We want you and your teen to be absolutely delighted with this class, and based on our parent and student feedback, we think you will be. 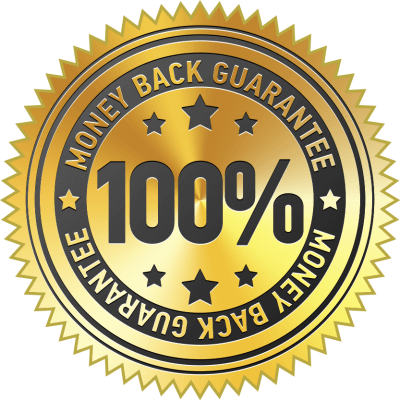 We offer a 100% money-back, happiness guarantee. Within 30 days of the start of the course, email us and let us know you’d like a refund and we’ll reimburse you. We want you to be happy with this investment in your child’s education! I loved getting outside with my son and doing the observation activities. The videos always had something that we really related well to and could remember even beyond test. And I really enjoyed the teaching on classic mythology—it’s something Christian curricula is often afraid to touch, but it opened up lots of good discussion about worldview. Access your lessons on any device! I am typically very involved in teaching science, but I needed a break this year. Thank you so much for providing this wonderful course. The videos are well done and you’re such an engaging teacher. 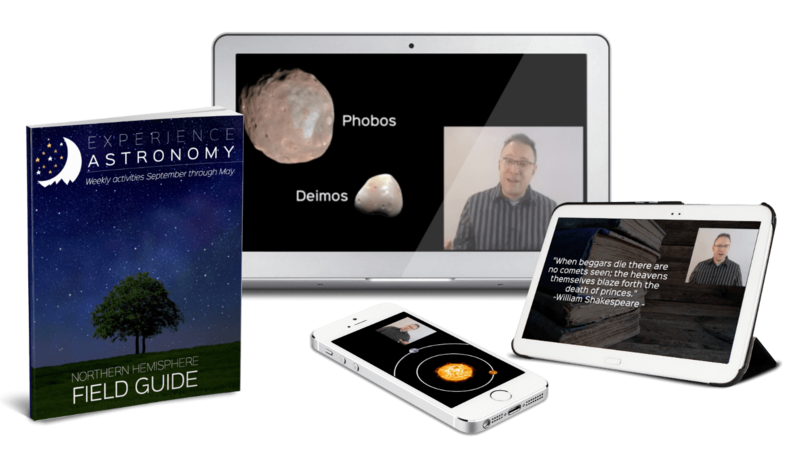 Experience Astronomy has been a HUGE blessing to me and my family, and I recommend it to homeschoolers ready to experience astronomy in their own backyards! However this hasn’t been a problem at all. We’ve been very thankful to be able to email questions when we haven’t understood things or are confused about things. We would encourage anyone to sign up for the course—it is fascinating and so informative for the whole family. This year we decided to homeschool. The only things my two kids needed for the astronomy class was one binder for assignments in black and white and one download. The combination of audio and visual lessons, then quiz, followed by a hands-on assignment worked very well for our family. My main concern was the cost of enrolling both of my children in a program that we knew very little about. Our family’s income was very limited, and this was a big sacrifice. …But out of all the science classes we have taken, this one has been the absolute best. The teaching was excellent, the videos streamed and played well, the content was amazing, and the activities were not only fun, but educational and meaningful. It was worth the sacrifice—these are memories that will last a lifetime! Science comes alive with Experience Astronomy!